The World Cup 2014 is not so far to begin and everybody must be spending a lot of time to look for the 2014 World Cup Final Tournament Schedule. Well, we are glad to announce that the schedule is out and you can find it in a free Excel spreadsheet form, where all games of the upcoming tournament are scheduled in a comfortable way, so that you can follow the development and flow of the tournament. Since everybody cannot wait for the tournament to begin, then the precise schedule is exactly what you and all the football fans need. The organization of the operation is very straight forward: the user fills in the results of the games into the fields specified and the 2014 World Cup Final Tournament Schedule performs calculations and outputs the winner as well as all the changes of positions of each competing team. Our spreadsheet includes the cases of equal scores, hereby as result competing teams are always arranged properly and automatically, so that you do not have to perform manual adjustments, which is included in other similar types of calendars. 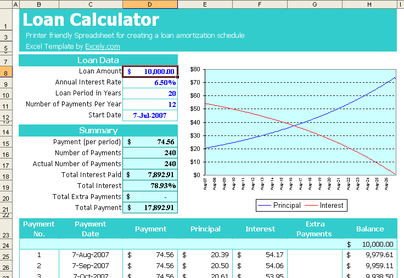 The entire design of our spreadsheet is finished in a clear and comfortable manner in order to ensure that users have fewer troubles with the spreadsheet, while getting precise outcomes. Since it is an Excel file, then there are no macros functions included in 2014 World Cup Final Tournament Schedule. Hereby all the fans of football will undoubtedly enjoy the fact that 2014 World Cup Final Tournament Schedule can perform calculations of each game result in order to demonstrate the way of fans’ favorite team to the next tournament stage. You can also perform predictions regarding the 2014 World Cup Final. The spreadsheet is suitable for absolutely all fans around the world, as it includes multilingual interface and adjustable time zones. Likewise the calendar includes 60 languages and a wide list of various time zones. 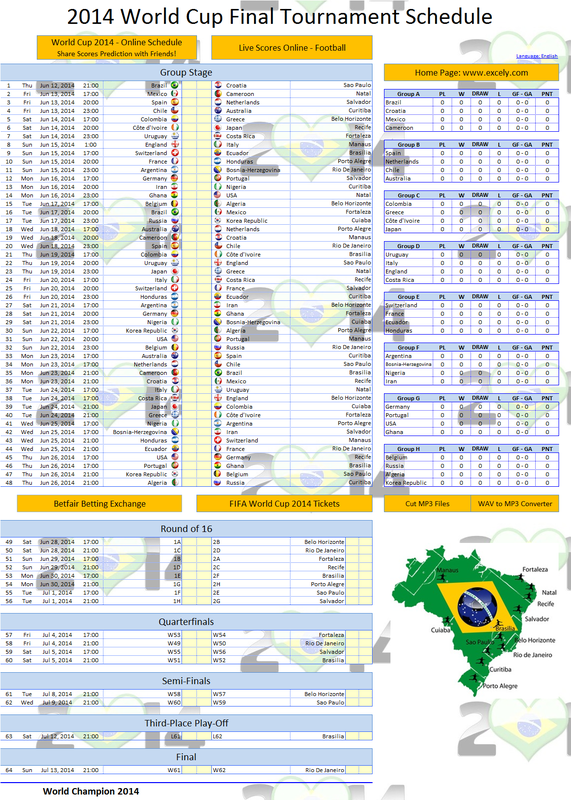 So go ahead and enjoy the calendar of your 2014 World Cup Tournament! 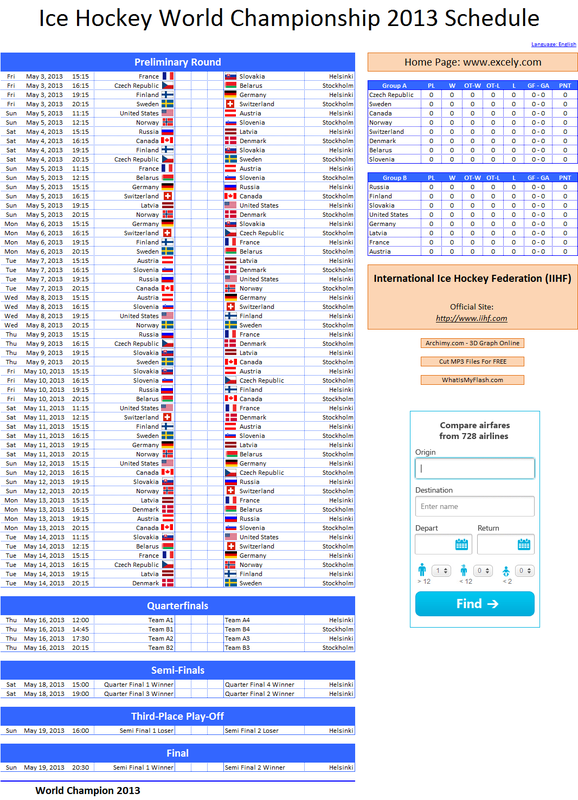 2014 World Cup Final Tournament Schedule is available free of charge.